$14.00 includes just a movie ticket. $35.00 includes a movie ticket, 2x snacks at the cinema and drink and nibbles afterwards at Dog with Two Tails. 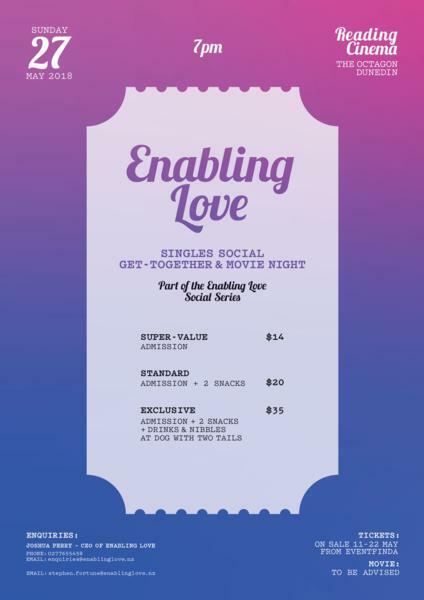 If you are in a wheelchair please email stephen.fortune@enablinglove.nz to arrange limited seats.